When Ted Turner decided to colourize some of Hollywood’s classic black and white films, cinephiles were outraged. Film reviewer Roger Ebert labelled the move towards colourization “vandalism”, and further stated, “What was so wrong about black and white movies in the first place? By filming in black and white, movies can sometimes be more dreamlike and elegant and stylized and mysterious.” Nobody was this upset when Randy Perlow and Chris Enright waged an all out war on monochrome pinball displays. By installing one of their ground-breaking ColorDMDs, you too can eradicate the drab orange dots from your gameroom. ColorDMD has full colour support for eleven different Williams/Bally/Midway titles, while the Sigma option allows you to add nearly 100 different colour hues and various effects to spice up the dots in any WPC/WPC95 or Stern Whitestar/SAM system. I had a chance to ask ColorDMD founder Gary Perlow a few questions about the business, the hobby and the Canadian spelling of colour. Credit Dot: How long has ColorDMD been in business? 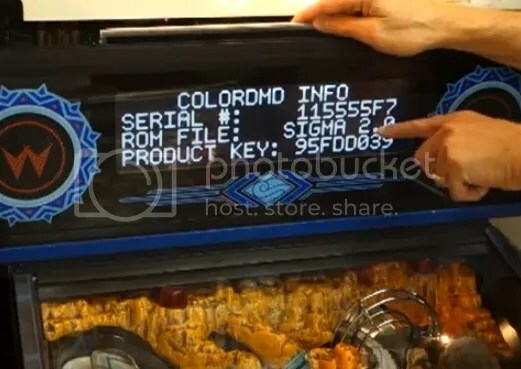 Randy Perlow: ColorDMD Displays LLC was formed in January 2012, and our first product (a multicolor display for Attack From Mars) was released in April of the same year. The only members are Chris Enright and myself. 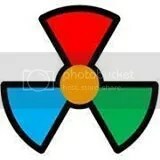 I invented the the hardware/software that drives the ColorDMD and also manage the business. Chris designed the mounting hardware, has colored most of the games we support, and was responsible for test and assembly of our earlier runs. The work for ColorDMD started much earlier in the summer of 2009. 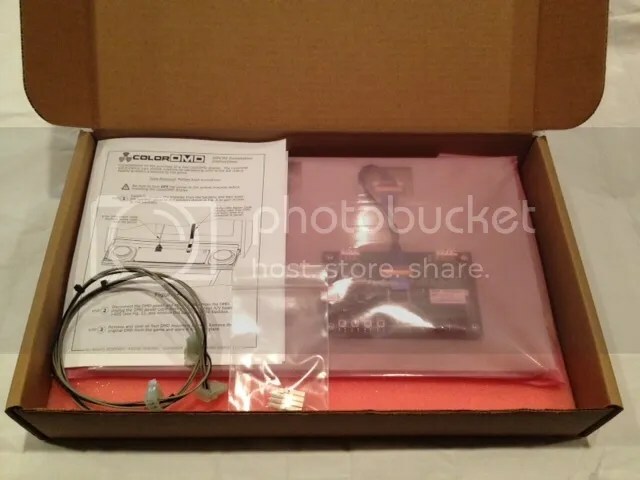 An early prototype was flipping by the Fall of 2009 but it took longer to integrate it inside the backbox, and longer still to reduce it to a form factor that could be shared with other enthusiasts. By September 2011, we had a pre-production display that was similar to our current display and this was the unit that we demonstrated at the Pacific Pinball Expo and Chicago Expo. CD: How did you first identify this need for not only replacement displays, but replacement displays with colour support? RP: To be honest, I was never really sure a need existed. I was inspired by some other projects I had seen and was looking for a fun project where I could contribute something back to the pinball community. A color display was the only idea I could come up with and I was curious why current games were still being built with monochromatic dot matrix displays. The project really started as a challenge to see what could be done with current technology and what the impact might be. I hoped it would be cool and something people would be excited about, but didn’t really think about it from a business perspective until much later. CD: Where are you located and what are your facilities like? Just a couple of guys in their basement or something more elaborate? RP: We’re based in San Clemente, California and design from our homes. For over a year, we used Chris’ garage for final assembly and test but have since contracted that work to a local manufacturer. CD: Fish Tales is the most recent game to get the full colour treatment, and it joins a list of ten other titles with full colour support. What is considered when selecting a game? RP: We have joked that we pick them out of a hat. The truth is that about half the games were chosen based on the games we had in our collections. Others have focused on “A-list” titles that seemed to be highly requested titles and good candidates from a business perspective. This year we have started to add additional developers to help build our library of multicolor ROM titles. Many of these titles are being chosen based on developer selection, complexity, and suitability to our hardware coloring engine. CD: What is the process of getting dots coloured for a specific game? Lots of testing? RP: The first step is to try to capture all the possible animation frames a game can generate. We need to see the final frames produced by the game which often include layered animation, text, and scoring data. There’s no easy way to do this without playing the game and exercising the right switch sequences to show all the animation. It takes a deep knowledge of the game rules, and time, lots and lots of time. The next step is bringing the sequences into the computer where we try to develop strategies to uniquely identify each frame, and generating complementary color data. We don’t store any of the actual game images… only the complementary color data. When the game is played, the hardware engine attempts to recognize each input frame and call up the color data that corresponds to the current frame. This step is a combination of artistry and problem-solving. Then we export the data to a display and test in the game where we’re looking for sequences we may have missed or are not being recognized and colored properly. We’ll then continue to iterate until we stop finding issues to correct. CD: I suppose it would be fair to revisit this question given some of the recent trends in the hobby: how do you avoid copyright issues given the images use are adding colour to? RP: We don’t store or distribute any copyrighted artwork in our color ROMs or display hardware. If you paged through them, they look contain rectangles or amorphous blobs of color that bear little to no resemblance to the original artwork. All the original game images are generated by the game, and coloring is done on the fly. The end result is similar to holding a multi-colored gel film over a black and white display. CD: How connected are you with the pinball community at large? I’ve been collecting pins for about 7 years, and have been active on RGP and Pinside during that time. Besides ColorDMD, I helped complete the emulation of the Micropin for PinMAME and recreated the lost “brain board” for the original Flicker solid-state prototype game, which was Bally’s pioneering entry into solid-state games. I compete (poorly) in the Orange County Pinball League and have attended many pinball shows over the past four years, and given multiple seminars on ColorDMD. Chris is the founder of the Orange County Pinball League, nearing its tenth year. He has been active on RGP, Pinside, and the prewar pinball forums. Chris is highly regarded by pinball parts distributors and has been responsible for reproducing rare plastic and metal replacement parts that have been otherwise impossible to find. CD: There was a time when you had trouble keeping these things in stock! Are you still having issues keeping up with the incredible demand? It seems like a good problem to have! RP: We build in runs that are often aligned to the introduction of new products. We typically have displays in stock through most of the year but there may be an occasional month where we run out of inventory before a production run is complete. CD: Buying one of your ColorDMDs is cost comparable to buying a more traditional uni-colour DMD. How do you keep the cost so low? RP: Given the extended multicolor capability of the ColorDMD as well as it’s versatility (custom color selection and display effect), we think it’s a good value. Our pricing is primarily based on our manufacturing BOM, and we have tried to provide these at the lowest cost we can and still meet business needs and return on our time. CD: Your online store lists twelve “unique” products to buy. Am I right in assuming this is all the same hardware just loaded with different software? RP: That’s correct. All the ColorDMDs on our site today utilize the same hardware platform with different firmware. The firmware is easily installed with a USB flash drive and can be changed at any time. The only other difference is that the SIGMA display for SAM/Whitestar platforms ships with different installation cables suited for those platforms. CD: When the product was first released, the displays were locked to a specific game. Why the change? RP: As our library of supported titles grew, it became too difficult for us and our distributors to stock individual titles. Customers were also asking for capability to move their display to a new game if/when they sold their original game. We decided the best solution was to open the platform. CD: You offer installation support in the form of videos, and the installation itself looks pretty straight forward. How close is the ColorDMD to being “plug and play” right out of the box? RP: It’s pretty close. We tried to make it virtually “plug and play” but it’s not exactly so because our display is a different height than the original DMD display and draws low voltage from the power driver board instead of the high voltage video board. Most customers tell us it’s about a ten minute install. CD: How close are we to seeing full colour dot programming for Stern games? RP: We’re targeting release of a Stern multicolor title before the end of 2014. 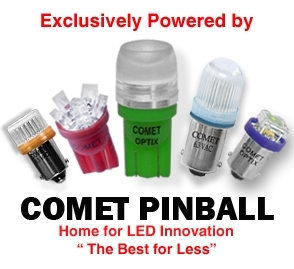 CD: Do you see your product being compatible with the “new old games” being released by Planetary Pinball Supply? RP: We’ve had some high level discussions with Planetary about supporting their new releases. They have a few options they are exploring, but we’d love to see this happen. CD: Would there be a market for multi-colour or colour-changing text in earlier alphanumeric games? RP: Possibly, but that’s not a focus at this time. The technical requirements are quite different than our current platform. CD: Is there any indication that there would be a market for producing those extra-large Sega DMDs used on Baywatch, Batman Forever, Maverick and Frankenstein or the extra-small ones used on earlier games like Teenage Mutant Ninja Turtles? RP: We receive a few requests per year to support the large Sega DMDs. Most of the requests have been from people who have a line out on their current display and are looking for a cheaper alternative than a new plasma. The small screens we use aren’t wide enough to fill the larger speaker panel window on these games. We would need to shift to a larger 17” panel and manufacture a new mounting bracket. With the added cost, our display would likely be at least as expensive as the plasmas that are still out there. As long as original continue to be available for these games, we’re treating it as a lower priority than other projects but it could be something we offer in the future. CD: Will you eventually add colour to every Williams DMD game? Even Popeye Saves the Earth? RP: That’s a great goal but we’re taking it one project at a time, and listening to what the market tells us. We’re also hoping that by broadening our developer program, we will be able to provide support for a much larger library of games than the high-priority titles that people are asking for. CD: I’m not an owner myself, but its something I have to ask…when will support for Twilight Zone be released? RP: I can’t provide a date for any specific title, but I can say that Twilight Zone is one of the hardest games for our engine to handle. We’ve been taking on easier titles and building up the feature set of the engine to handle some of the more difficult animation sequences. If/when we think we can do it justice, we do plan to release a multicolor ROM for Twilight Zone. CD: We may be approaching a point when DMD screens will be eradicated from pinball machines altogether. How has the DMD held on for so long and what are you thoughts on the backbox LCD/LED display? RP: This is a great question and one that I asked before starting the project… why are games still being built with DMDs? Trying to fit another display technology into a legacy platform isn’t easy. The added information needed to display three colors instead of one requires significant improvements in processor power, data storage, and throughput. If image resolution and color depth is to be increased at the same time, this places an even higher burden on the processing and storage requirements. With the ColorDMD we insert powerful processing in a place it was never meant to reside… between the DMD controller and the display. While we have achieved very good results, it’s a difficult process and not one that’s well suited to the design of a new game. The better approach is to modify the processor and video display system of the game to handle the added requirements. This is costly and risky and a large reason it has taken so long for color displays to be integrated in new games. It is also more expensive and time consuming to generate high resolution content for these games. Incorporating a high-resolution screen in the backbox is overdue and opens up new possibilities, but it will take some time (and a few games) for manufacturers and designers to figure out the best way to make use of the extra screen resolution and area. CD: What is on the horizon for ColorDMD? New technology? New directions? New releases? RP: We have a lot of active projects now but I’m not ready to reveal any of it! A lot of it is related to things that people have been asking for, but we still have some tricks up our sleeve and hope to unveil a few surprises before the end of the year! CD: What games currently reside at the ColorDMD HQ or in your private collection? RP: I currently own a LOTR, TRON, MM, WH2O, IJ, and a bartop Micropin. Chris has an AFM, MM, SS, TZ, Metallica, and SC. This gives us plenty of material to work with, but when needed, members of OCPL often step up and provide access to their collections. CD: And finally, does it bother you that I’m using the Canadian, or British, spelling of “colour”? RP: No, I love it! It’s funny but when I sought a name for the company I was looking for something clever that was immediately recognizable and identifiable with our product. It wasn’t until after the release of our first title, that I realized I had picked a name with an alternate spelling in many parts of the world! Thankfully Google is more clever than I, and people have been able to find us! You can visit ColorDMD displays are available through their website or from purveyors of fine pinball supplies, like Bay Area Amusements in the United States and the Pinball Palace in the UK. Eleven titles are currently have full colour support: The Addams Family, White Water, Creature from the Black Lagoon, Tales of the Arabian Nights, Attack from Mars, Medieval Madness, Cactus Canyon, Monster Bash, Scared Stiff, Theatre of Magic and Fish Tales. Categories: People | Tags: ColorDMD, Fish Tales, Planetary Pinball Supply, Popeye Saves the Earth, Twilight Zone | Permalink.